St Michael’s Primary School and Nursery has an active PTA which is also a registered charity. We raise funds to provide a variety of benefits for the children to enjoy at school. Over the years the PTA have organised and funded many events along with providing additional equipment for the school. Not only have we been able to provide Christmas gifts from Santa, Easter eggs from the Easter bunny, Halloween disco’s and leavers hoodies, Summer Fetes, just to name a few, we have been able to raise enough money to develop and fund the new additions to the Reception playground. Your ongoing support, whether this be getting involved or just turning up and spending money at organised events is much appreciated...it all helps!! As our Year 6’s leave, so do the parents, which is why we need new parents with new and exciting ideas! If you have any hobbies, work in a company, who do charity days or can help in any way we are keen to know. To help keep you informed of events etc, we have a school Facebook page and events are advertised via posters around the school. If you would like to join the PTA, simply leave your details with the office and we will contact you. We try to meet as often as possible to discuss ways of raising money for the school. The items we raise for can change on a monthly basis depending on the schools needs and as of next year the majority of our fundraising will be towards the new building and purchasing items desperately needed; ranging from furniture to IT Equipment. We will always inform all parents what the latest goal is and keep a tally as to how we are doing. CHRISTMAS IS COMING! I’m sure a lot of you shop online for Christmas. 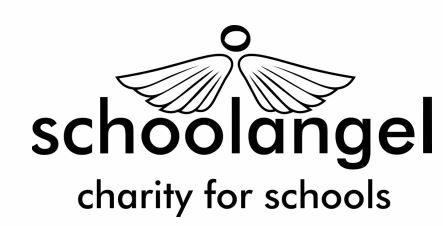 When you are doing your shopping if you can click through to your favourite stores via the school angel link it would help the school. For every click we receive a couple of pennies, some of the companies donate as much as £5. This does not affect the price of your item but it does help us to raise funds! Thank you!